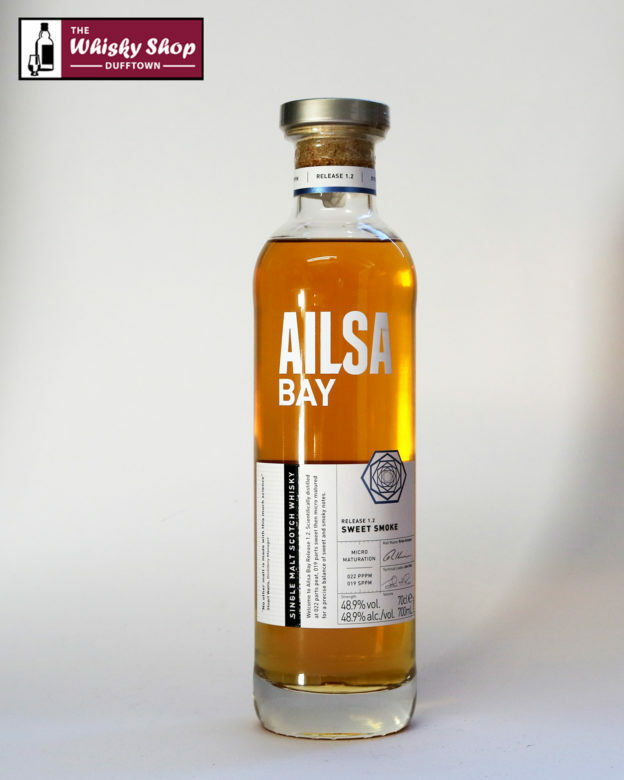 Welcome to Ailsa Bay Release 1.2. Scientifically distilled at 022 parts peat, 019 parts sweet then micro matured for a precise balance of sweet and smoky notes. 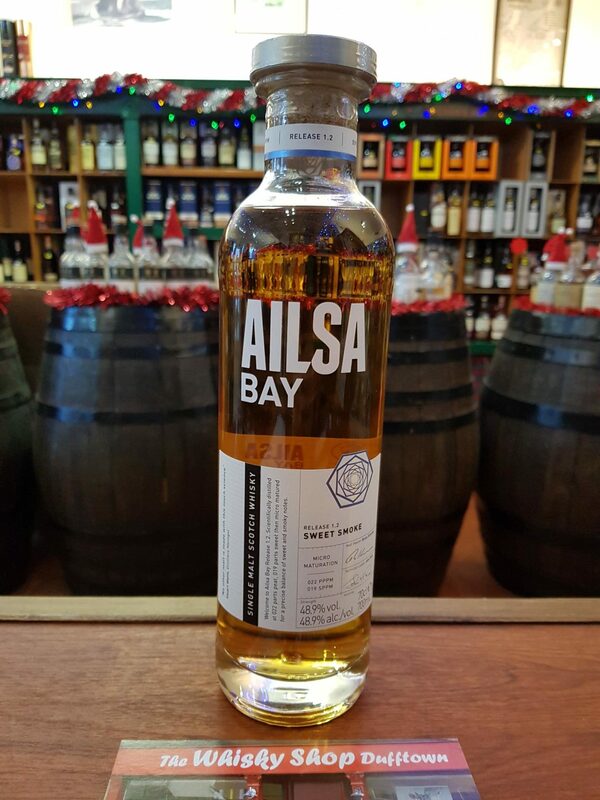 The distillery say "Welcome to Ailsa Bay Release 1.2. Scientifically distilled at 022 parts peat, 019 parts sweet then micro matured for a precise balance of sweet and smoky notes. Based in one of the most advanced distilleries in the world, we're an inquisitive team of scientists, engineers and whisky makers. Inspired by the creativity of science, we micro control our SPPM (sweet parts per million) and PPPM (peat parts per million) levels to push whisky boundaries and imagine new flavours. 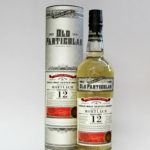 A modern whisky for the inquisitive." Distillery Manager, Stuart Watts, says "No other malt is made with this much science."